Armenia (Armenian: Հայաստանի Հանրապետություն, tr. Hayastani Hanrapetut’yun), is a landlocked country in theSouth Caucasus region of Eurasia. 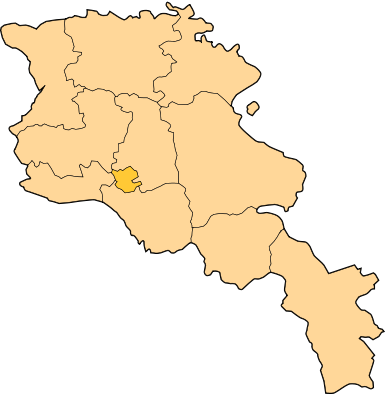 Located in Western Asia, it is bordered by Turkey to the west, Georgia to the north, the de facto independent Nagorno-Karabakh Republic and Azerbaijan to the east, and Iran and the Azerbaijaniexclave of Nakhchivan to the south. 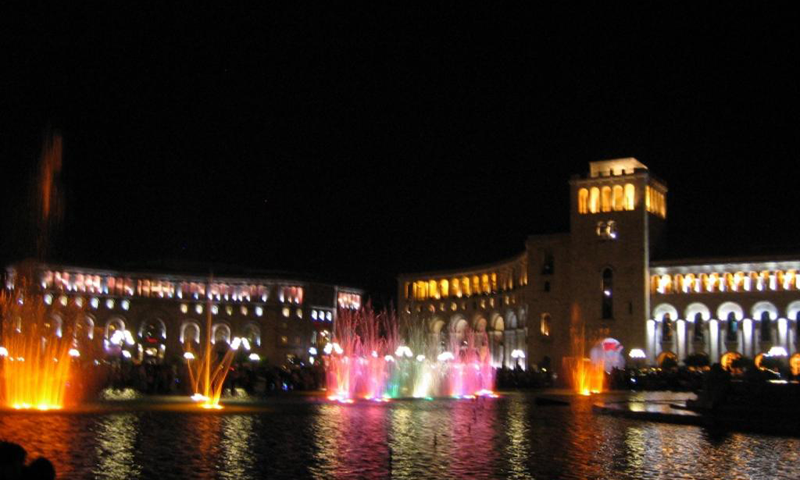 Armenia is a unitary, multi-party, democratic nation-state with an ancient cultural heritage. The Satrapy of Armenia was established in the 6th century BC, after the fall of Urartu. In the 1st century BC the Kingdom of Armenia reached its height under Tigranes the Great. 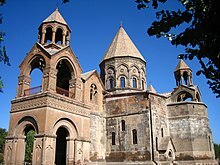 Armenia became the first state in the world to adopt Christianity as its official religion, in between late 3rd century to early years of the 4th century (the official date is 301 AD), becoming the first Christian nation.”As a result, previously predominant Zoroastrianism and paganism in Armenia gradually declined. An Armenian principality and later a kingdom, known as Cilician Armenia, existed on the coast of theMediterranean Sea between the 11th and 14th centuries. Between the 16th century and first half of the 19th century, the traditional Armenian homeland composed of Eastern Armenia and Western Armenia came under rule of the rivaling Ottoman and successive Iranian Empires, passing between the two over the centuries. By the mid-19th century, Eastern Armenia had been conquered by Russia fromQajar Iran, while most of the western parts of the traditional Armenian homeland still remained under Ottoman rule. During World War I, the Armenians living in their ancestral lands in the Ottoman Empire were systematically exterminated in the Armenian Genocide. In 1918, during the Russian Revolution, all non-Russian countries were granted independence from the dissolved empire, leading to the establishment of the First Republic of Armenia. By 1920, the state was incorporated into the Transcaucasian Socialist Federative Soviet Republic, a founding member of the Soviet Union in 1922. In 1936, the Transcaucasian state was dissolved, leaving its constituent states, including theArmenian Soviet Socialist Republic, as full Union republics. 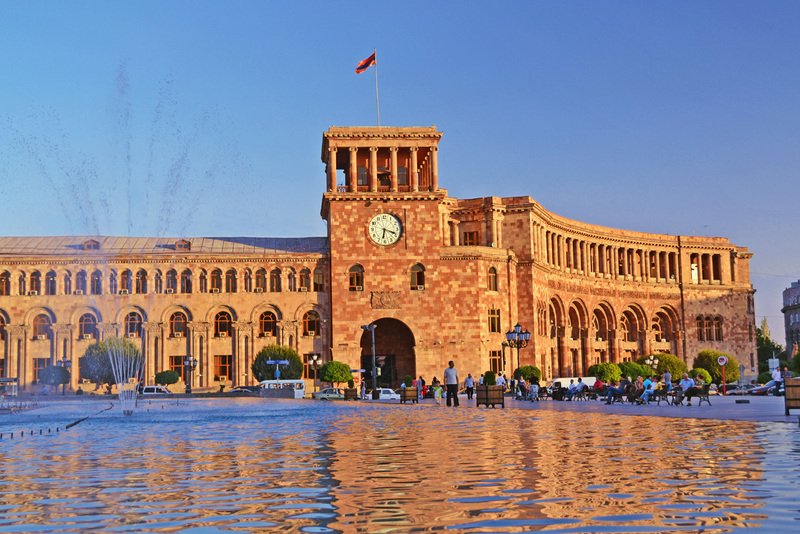 The modern Republic of Armenia became independent in 1991 during the dissolution of the Soviet Union. The Republic of Armenia recognizes the Armenian Apostolic Church, the world’s oldest national church, as the country’s primary religious establishment. The unique Armenian alphabet was invented by Mesrop Mashtots in 405 AD. Armenia is a member of the Eurasian Economic Union, the Council of Europe and the Collective Security Treaty Organization. Armenia supports the de facto independent Nagorno-Karabakh Republic, which was proclaimed in 1991. 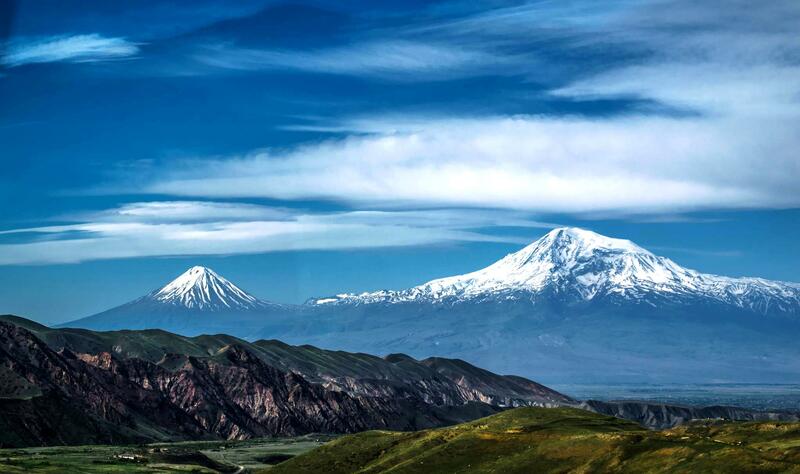 Armenia lies in the highlands surrounding the mountains of Ararat. There is evidence of an early civilization in Armenia in the Bronze Age and earlier, dating to about 4000 BC. Archaeological surveys in 2010 and 2011 at theAreni-1 cave complex have resulted in the discovery of the world’s earliest known leather shoe, skirt, and wine-producing facility. Several bronze-era states flourished in the area of Greater Armenia, including the Hittite Empire (at the height of its power), Mitanni (South-Western historical Armenia), and Hayasa-Azzi (1500–1200 BC). The Nairi people (12th to 9th centuries BC) and the Kingdom of Urartu (1000–600 BC) successively established their sovereignty over the Armenian Highland. Each of the aforementioned nations and tribes participated in the ethnogenesis of the Armenian people. A large cuneiform lapidary inscription found in Yerevan established that the modern capital of Armenia was founded in the summer of 782 BC by King Argishti I. Yerevan is the world’s oldest city to have documented the exact date of its foundation. During the late 6th century BC, the first geographical entity that was called Armenia by neighboring populations was established under the Orontid Dynasty within the Achaemenid Empire, as part of the latters’ territories. The kingdom became fully sovereign from the sphere of influence of the Seleucid Empire in 190 BC under King Artaxias I and begun the rule of theArtaxiad dynasty. Armenia reached its height between 95 and 66 BC under Tigranes the Great, becoming the most powerful kingdom of its time east of the Roman Republic. In the next centuries, Armenia was in the Persian Empire’s sphere of influence during the reign of Tiridates I, the founder of the Arsacid dynasty of Armenia, which itself was a branch of the eponymous Arsacid dynasty of Parthia. Throughout its history, the kingdom of Armenia enjoyed both periods of independence and periods of autonomy subject to contemporary empires. Its strategic location between two continents has subjected it to invasions by many peoples, including the Assyrians (under Ashurbanipal, at around 669-627 BC, the boundaries of the Assyrian Empire reached as far as Armenia & the Caucasus Mountains), Medes, Achaemenid Persians,Greeks, Parthians, Romans, Sassanid Persians, Byzantines, Arabs, Seljuks, Mongols, Ottomans, successive Iranian Safavids, Afsharids, and Qajars, and the Russians. 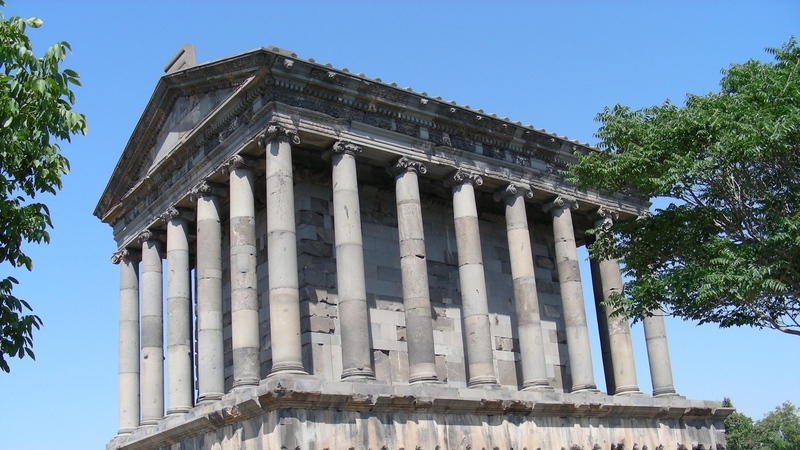 The Armenian pagan Temple of Garni, probably built 1st century AD, is the only “Greco-Roman colonnadedbuilding” in Armenia and the entireformer Soviet Union. Religion in ancient Armenia was historically related to a set of beliefs which, in Persia, led to the emergence of Zoroastrianism. It particularly focused on the worship of Mihr (Avestan Mithra) and also included a pantheon of native Aryan gods, such as Aramazd,Vahagn, Anahit, and Astghik. The country used the solar Hayk Armenian calendar, which consisted of 12 months. Christianity spread into the country as early as AD 40. King Tiridates III (238–314) made Christianity the state religion in 301, partly, in defiance of the Sassanids, it seems, becoming the first officially Christian state, ten years before the Roman Empire granted Christianity an official toleration under Galerius, and 36 years before Constantine the Great was baptized. Prior to this, during the latter part of the Parthian period, Armenia was a predominantly Zoroastrian land. After the fall of the Armenian kingdom in 428, most of Armenia was incorporated as a marzpanate within the Sassanid Empire. Following an Armenian rebellion in 451, Christian Armenians maintained their religious freedom, while Armenia gained autonomy. The Etchmiadzin Cathedral, Armenia’s Mother Church traditionally dated 303 AD, is considered the oldest cathedral in the world. After the Marzpanate period (428–636), Armenia emerged as the Emirate of Armenia, an autonomous principality within the Arabic Empire, reuniting Armenian lands previously taken by theByzantine Empire as well. The principality was ruled by the Prince of Armenia, and recognized by the Caliph and the Byzantine Emperor. It was part of the administrative division/emirate Arminiya created by the Arabs, which also included parts of Georgia and Caucasian Albania, and had its center in the Armenian city, Dvin. The Principality of Armenia lasted until 884, when it regained its independence from the weakened Arab Empire under King Ashot I Bagratuni. The Armenian Kingdom of Cilicia, 1198–1375. In 1045, the Byzantine Empire conquered Bagratid Armenia. Soon, the other Armenian states fell under Byzantine control as well. The Byzantine rule was short lived, as in 1071 Seljuk Turks defeated the Byzantines and conquered Armenia at the Battle of Manzikert, establishing the Seljuk Empire. To escape death or servitude at the hands of those who had assassinated his relative, Gagik II, King of Ani, an Armenian named Roupen, went with some of his countrymen into the gorges of the Taurus Mountains and then into Tarsus of Cilicia. The Byzantine governor of the palace gave them shelter where the Armenian Kingdom of Cilicia was eventually established on 6 January 1198 under King Leo I, a descendant of Prince Roupen. Cilicia was a strong ally of the European Crusaders, and saw itself as a bastion of Christendom in the East. 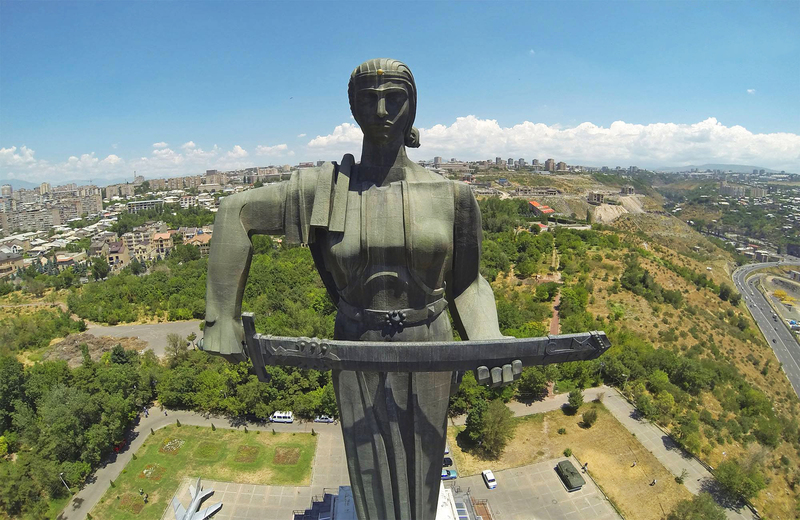 Cilicia’s significance in Armenian history and statehood is also attested by the transfer of the seat of the Catholicos of the Armenian Apostolic Church, the spiritual leader of the Armenian people, to the region. The Seljuk Empire soon started to collapse. In the early 12th century, Armenian princes of the Zakarid noble family drove out the Seljuk Turks and established a semi-independent Armenian principality in Northern and Eastern Armenia, known as Zakarid Armenia, which lasted under the patronage of theGeorgian Kingdom. The noble family of Orbelians shared control with the Zakarids in various parts of the country, especially in Syunik and Vayots Dzor, while the Armenian family of Hasan-Jalalians controlled provinces of Artsakh and Utik as the Kingdom of Artsakh. 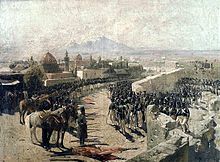 Seizure of Yerevan fortress by Russian troops in 1827 during theRusso-Persian War (1826-1828) byFranz Roubaud. During the 1230s, the Mongol Empire conquered the Zakaryan Principality, as well as the rest of Armenia. The Mongolian invasions were soon followed by those of other Central Asian tribes such as the (Kara Koyunlu, Timurid and Ak Koyunlu), which continued from the 13th century until the 15th century. After incessant invasions, each bringing destruction to the country, with time Armenia became weakened. In the 16th century, the Ottoman Empire and Safavid Iran divided Armenia. From the early 16th century, both Western Armenia andEastern Armenia fell under Iranian Safavid rule. Owing to the century long Turco-Iranian geo-political rivalry that would last inWestern Asia, significant parts of the region were frequently fought over between the two rivalling empires. From the mid 16th century with the Peace of Amasya, and decisively from the first half of the 17th century with the Treaty of Zuhab until the first half of the 19th century, Eastern Armenia was ruled by the successive Iranian Safavid, Afsharid and Qajar empires, while Western Armenia remained under Ottoman rule. From 1604 Abbas I of Iran implemented a “scorched earth” policy in the region to protect his north-western frontier against any invading Ottoman forces, a policy which involved a forced resettlement of masses of Armenians outside of their homelands.In 1813 and 1828, following the Russo-Persian War (1804-1813) and the Russo-Persian War (1826-1828) respectively, Qajar Iran was forced to irrevocably cede Eastern Armenia to Imperial Russia. (consisting of the Erivan and Karabakh khanates). By now Eastern Armenia would, after centuries of Iranian rule, fall into a Russian dominated era. During the 1890s, the Armenian Revolutionary Federation, commonly known as Dashnaktsutyun, became active within the Ottoman Empire with the aim of unifying the various small groups in the empire that were advocating for reform and defending Armenian villages from massacres that were widespread in some of the Armenian-populated areas of the empire. Dashnaktsutyun members also formed fedayi groups that defended Armenian civilians through armed resistance. The Dashnaks also worked for the wider goal of creating a “free, independent and unified” Armenia, although they sometimes set aside this goal in favor of a more realistic approach, such as advocating autonomy. The Ottoman Empire began to collapse, and in 1908, the Young Turk Revolution overthrew the government of Sultan Hamid. In April 1909, the Adana massacre occurred in theAdana Vilayet of the Ottoman Empire resulting in the deaths of as many as 20,000–30,000 Armenians. The Armenians living in the empire hoped that the Committee of Union and Progress would change their second-class status. Armenian reform package (1914) was presented as a solution by appointing an inspector general over Armenian issues. The Republic of Armenia, covering an area of 29,743 square kilometres (11,484 sq mi), is located in the north-east of the Armenian Highland. 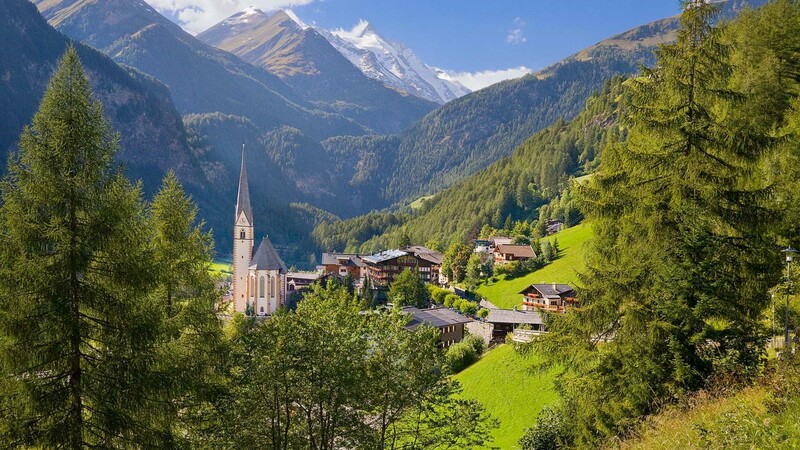 The terrain is mostly mountainous, with fast flowing rivers and few forests. The climate is highland continental, which means that the country is subjected to hot summers and cold winters. The land rises to 4,090 metres (13,419 ft) above sea-level atMount Aragats, and no point is below 390 metres (1,280 ft) above sea level. 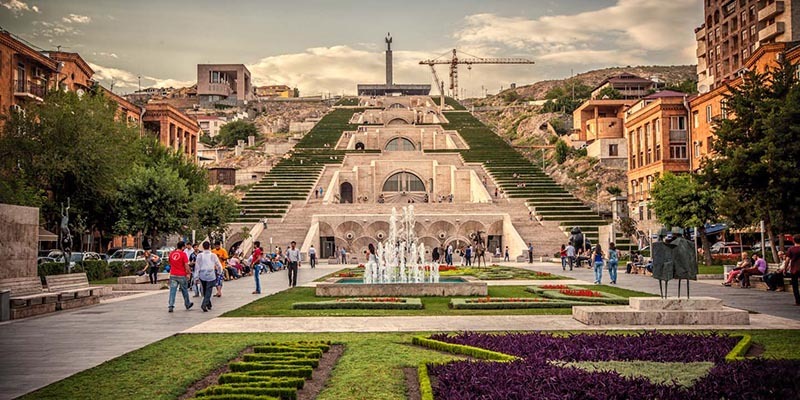 Armenia has established a Ministry of Nature Protection and introduced taxes for air and water pollution and solid-waste disposal, whose revenues are used for environmental protection activities. Waste management in Armenia is underdeveloped, as no waste sorting or recycling takes place at Armenia’s 60 landfills. Winters are quite cold with plenty of snow, with temperatures ranging between −10 and −5 °C (14 and 23 °F). Winter sports enthusiasts enjoy skiing down the hills ofTsakhkadzor, located thirty minutes outside Yerevan. Lake Sevan, nestled up in the Armenian highlands, is the second largest lake in the world relative to its altitude, at 1,900 metres (6,234 ft) above sea level. The National Assembly in Yerevan. Politics of Armenia takes place in a framework of a semi-presidential representative democratic republic. According to the Constitution of Armenia, the President is the head of state and of a multi-party system. Executive power is exercised by the government. Legislative power is vested in both the government and parliament. 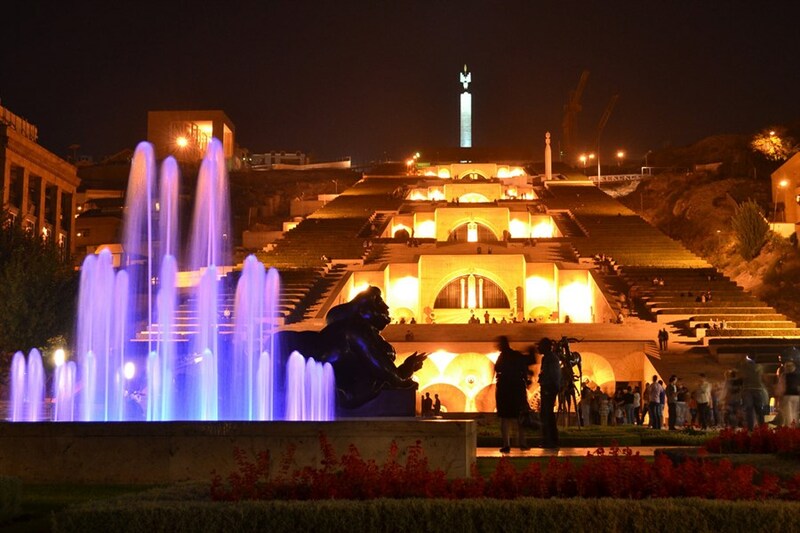 The unicameral parliament (also called the Azgayin Zhoghov or National Assembly) is controlled by a coalition of four political parties: the conservative Republican party, the Prosperous Armenia party, the rule of law party and the Armenian Revolutionary Federation. The main opposition party is Raffi Hovannisian’s Heritage party, which favors eventual Armenian membership in the European Union and NATO. The Armenian government’s stated aim is to build a Western-style parliamentary democracy as the basis of its form of government. It has universal suffrage above the age of eighteen. International observers of Council of Europe and US Department of State have questioned the fairness of Armenia’s parliamentary andpresidential elections and constitutional referendum since 1995, citing polling deficiencies, lack of cooperation by the Electoral Commission, and poor maintenance of electoral lists and polling places. Freedom House categorized Armenia in its 2008 report as a “Semi-consolidated Authoritarian Regime” (along with Moldova, Kosovo, Kyrgyzstan, and Russia) and ranked Armenia 20th among 29 nations in transition, with a Democracy Score of 5.21 out of 7 (7 represents the lowest democratic progress). Since 1999, Freedom House’s Democracy Score for Armenia has been steadily on the decline (from 4.79 to 5.21). Furthermore, Freedom House ranked Armenia as “partly free” in its 2007 report, though it did not categorise Armenia as an “electoral democracy”, indicating an absence of relatively free and competitive elections. However, significant progress seems to have been made and the 2008 Armenian presidential election was hailed as largely democratic by OSCE and Western monitors. 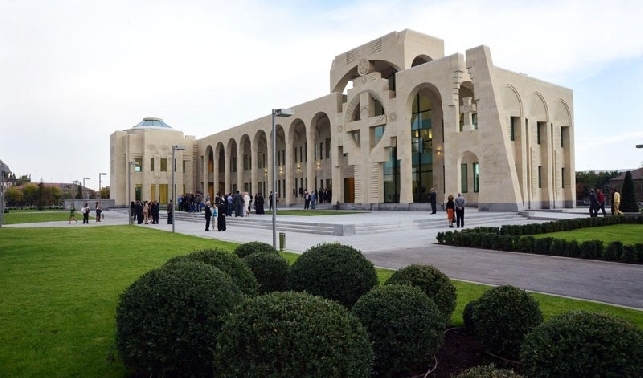 Armenia presently maintains good relations with almost every country in the world, with two major exceptions being its immediate neighbours, Turkey and Azerbaijan. Tensions were running high between Armenians and Azerbaijanis during the final years of the Soviet Union. The Nagorno-Karabakh War dominated the region’s politics throughout the 1990s. The border between the two rival countries remains closed up to this day, and a permanent solution for the conflict has not been reached despite the mediation provided by organisations such as the OSCE. Armenia is a member of more than 40 international organisations, including the United Nations; the Council of Europe; the Asian Development Bank; the Commonwealth of Independent States; the World Trade Organization; World Customs Organization; the Organization of the Black Sea Economic Cooperation; and La Francophonie. It is a member of the CSTO military alliance, and also participates in NATO’s Partnership for Peaceprogramme. Turkey also has a long history of poor relations with Armenia over its refusal to acknowledge the Armenian Genocide. Turkey was one of the first countries to recognize the Republic of Armenia (the 3rd republic) after its independence from the USSR in 1991. Despite this, for most of the 20th century and early 21st century, relations remain tense and there are no formal diplomatic relations between the two countries due to Turkey’s refusal to establish them for numerous reasons. During the Nagorno-Karabakh War and citing it as the reason, Turkey illegally closed its land border with Armenia in 1993. It has not lifted its blockade despite pressure from the powerful Turkish business lobby interested in Armenian markets. On 10 October 2009, Armenia and Turkey signed protocols on normalisation of relationships, which set a timetable for restoring diplomatic ties and reopening their joint border. The ratification of those had to be made in the national parliaments. 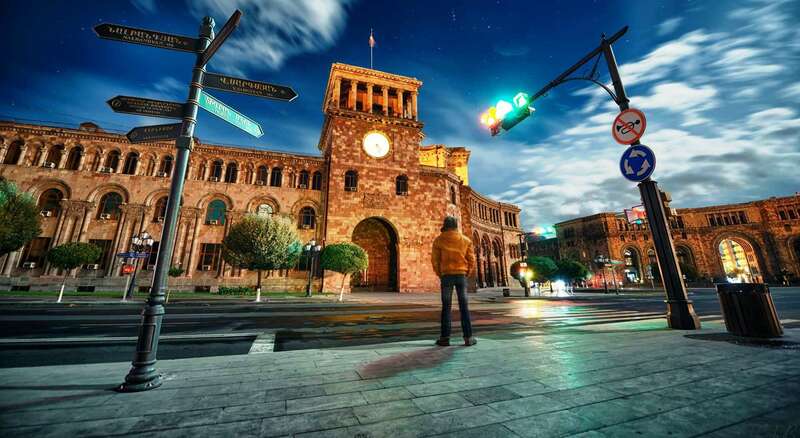 In Armenia it passed through the required by legislation approval of the Constitutional Court and was sent to the parliament for the final ratification. The President had made multiple public announcements, both in Armenia and abroad, that as the leader of the political majority of Armenia he assured the ratification of the protocols if Turkey also ratified them. Despite this, the process stopped, as Turkey continuously added more preconditions to its ratification and also “delayed it beyond any reasonable time-period”. Due to its position between two unfriendly neighbours, Armenia has close security ties with Russia. 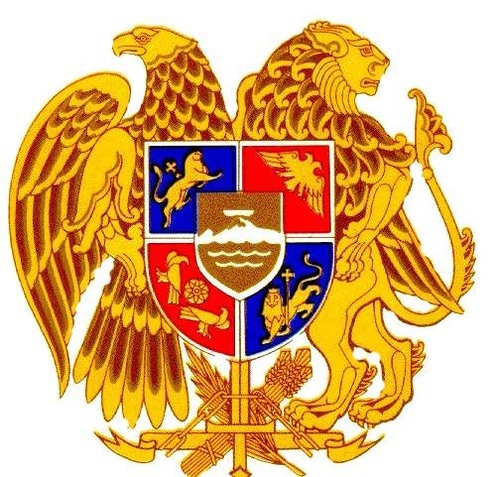 At the request of the Armenian government, Russia maintains a military basein the northwestern Armenian city of Gyumri as a deterrent against Turkey. Despite this, Armenia has also been looking toward Euro-Atlantic structures in recent years. It maintains good relations with the United States especially through its Armenian diaspora. 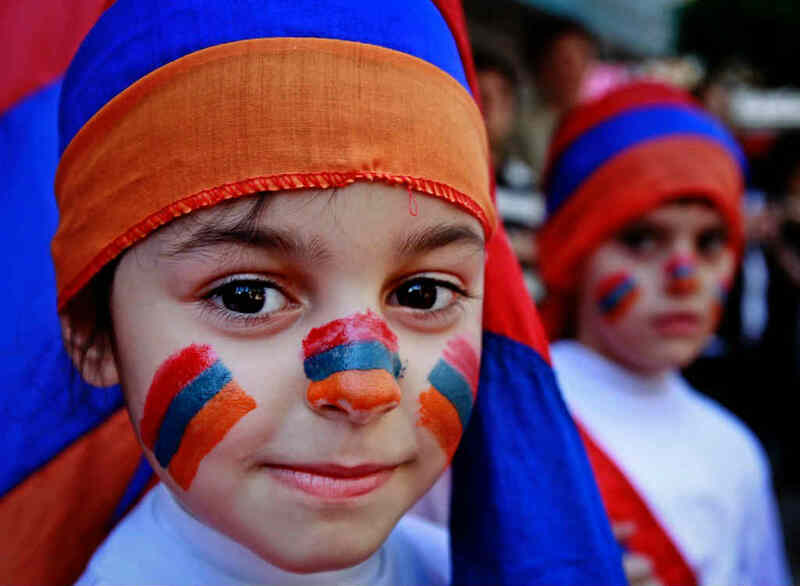 According to the US Census Bureau, there are 427,822 Armenians living in the country. Armenia is also a member of the Council of Europe, maintaining friendly relations with the European Union, especially with its member states such as France and Greece. A 2005 survey reported that 64% of Armenia’s population would be in favor of joining the EU. Several Armenian officials have also expressed the desire for their country to eventually become an EU member state,some predicting that it will make an official bid for membership in a few years. In 2004 its forces joined KFOR, a NATO-led international force in Kosovo. It is also an observer member of the Eurasian Economic Community and the Non-Aligned Movement. 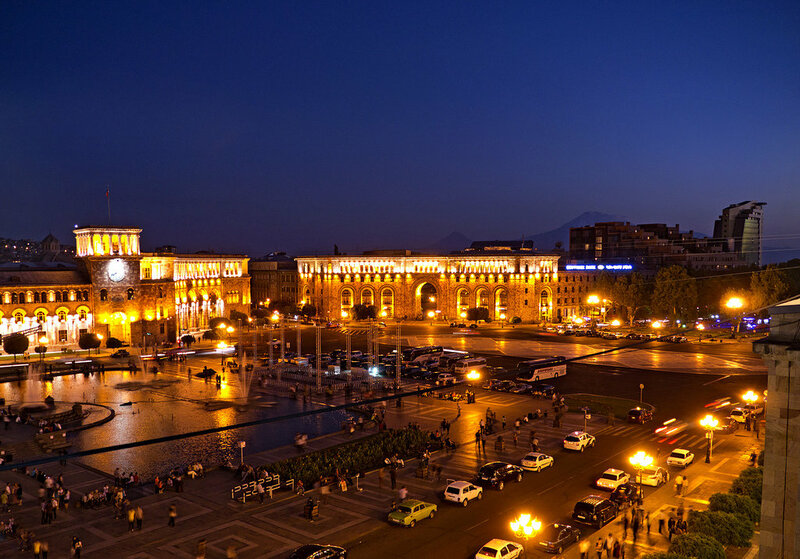 A former republic of the Soviet Union, Armenia is an emerging democracy and as of 2011 was negotiating with the European Union to become an associate partner. Legally speaking, it has the right to be considered as an prospective EU member provided it meets necessary standards and criteria, although officially such plan does not exist in Brussels. The Government of Armenia, however, has joined the Customs Union of Belarus, Kazakhstan and Russia and the Eurasian Economic Union. Armenia is included in the European Union’s European Neighbourhood Policy (ENP) which aims at bringing the EU and its neighbours closer. Human rights in Armenia are better than those in most former Soviet republics and have drawn closer to acceptable standards[according to whom? ], especially economically. Still, there are several considerable problems. Overall, Armenia’s human rights record is similar to that of Georgia. Armenia has been labeled as “partly free” by Freedom House. 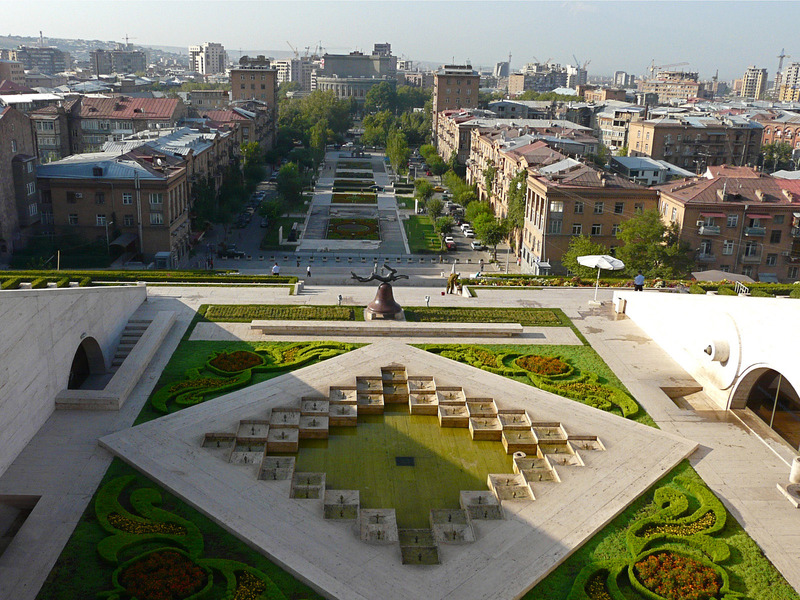 Armenia is divided into ten provinces (marzer, singular marz), with the city (kaghak) of Yerevan (Երևան) having special administrative status as the country’s capital. 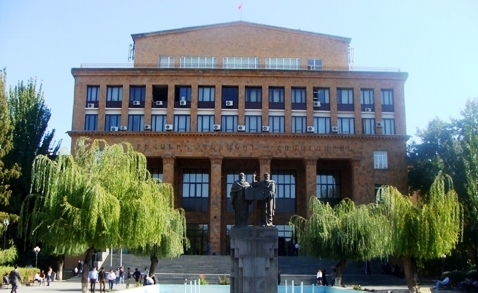 The chief executive in each of the ten provinces is the marzpet(marz governor), appointed by the government of Armenia. 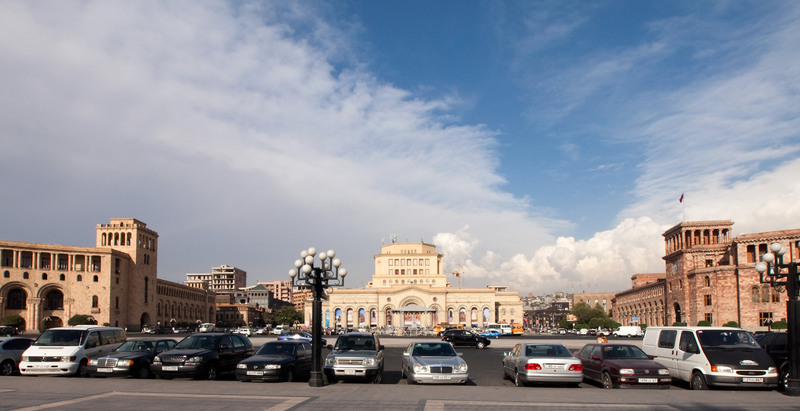 In Yerevan, the chief executive is the mayor, appointed by the president. The economy relies heavily on investment and support from Armenians abroad. Before independence, Armenia’s economy was largely industry-based – chemicals,electronics, machinery, processed food, synthetic rubber, and textile – and highly dependent on outside resources. The republic had developed a modern industrial sector, supplying machine tools, textiles, and other manufactured goods to sister republics in exchange for raw materials and energy. Recently, the Intel Corporation agreed to open a research center in Armenia, in addition to other technology companies, signalling the growth of the technology industry in Armenia. Like other newly independent states of the former Soviet Union, Armenia’s economy suffers from the breakdown of former Soviet trading patterns. Soviet investment in and support of Armenian industry has virtually disappeared, so that few major enterprises are still able to function. In addition, the effects of the 1988 Spitak earthquake, which killed more than 25,000 people and made 500,000 homeless, are still being felt. The conflict with Azerbaijan over Nagorno-Karabakh has not been resolved. The closure of Azerbaijani and Turkish borders has devastated the economy, because Armenia depends on outside supplies of energy and most raw materials. Land routes through Georgia and Iran are inadequate or unreliable. The GDP fell nearly 60% between 1989 and 1993, but then resumed robust growth. The national currency, the dram, suffered hyperinflation for the first years after its introduction in 1993. This steady economic progress has earned Armenia increasing support from international institutions. The International Monetary Fund(IMF), World Bank, European Bank for Reconstruction and Development (EBRD), and other international financial institutions (IFIs) and foreign countries are extending considerable grants and loans. 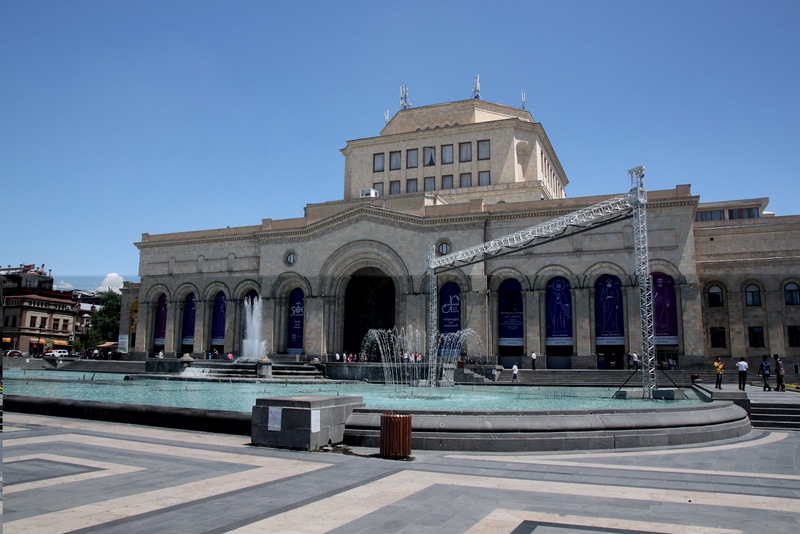 Loans to Armenia since 1993 exceed $1.1 billion. These loans are targeted at reducing the budget deficit and stabilizing the currency; developing private businesses; energy; agriculture; food processing; transportation; the health and education sectors; and ongoing rehabilitation in the earthquake zone. The government joined the World Trade Organization on 5 February 2003. 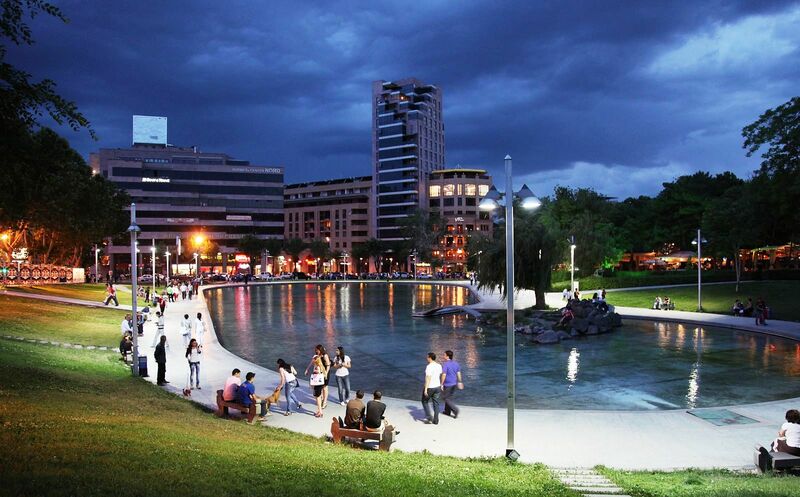 But one of the main sources of foreign direct investments remains the Armenian diaspora, which finances major parts of the reconstruction of infrastructure and other public projects. 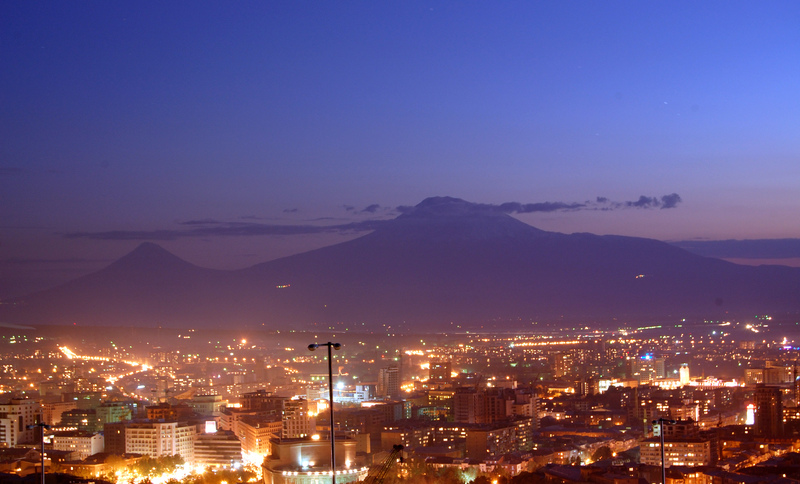 Being a growing democratic state, Armenia also hopes to get more financial aid from the Western World. Armenia has a population of 3,238,000 (2008 est.) and is the second most densely populated of the former Soviet republics. There has been a problem of population declinedue to elevated levels of emigration after the break-up of the USSR. However, in the past years, the emigration levels have levelled and there is steady population growth. 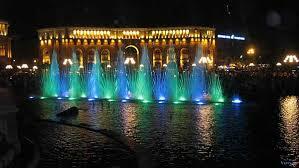 Armenia has a relatively large diaspora (8 million by some estimates, greatly exceeding the 3 million population of Armenia itself), with communities existing across the globe. The largest Armenian communities outside of Armenia can be found inRussia, France, Iran, the United States, Georgia, Syria, Lebanon, Argentina, Australia, Canada, Greece, Cyprus, Israel,Poland, Ukraine and Brazil. 40,000 to 70,000 Armenians still live in Turkey (mostly in and around Istanbul). Ethnic Armenians make up 97.9% of the population. Yazidis make up 1.3%, and Russians 0.5%. Other minorities include Assyrians,Ukrainians, Pontic Greeks (here usually called Caucasus Greeks), Kurds, Georgians, and Belarusians. There are also smaller communities of Vlachs, Mordvins, Ossetians, Udis, and Tats. Minorities of Poles and Caucasus Germans also exist though they are heavily Russified. During the Soviet era, Azerbaijanis were historically the second largest population in the country (forming about 2.5% in 1989).However, due to the conflict over Nagorno-Karabakh, virtually all of them emigrated from Armenia to Azerbaijan. Conversely, Armenia received a large influx of Armenian refugees from Azerbaijan, thus giving Armenia a more homogeneous character. Armenian is the only official language. Due to its Soviet past, Russian is still widely used in Armenia and could be considered as de factosecond language. According to a 2013 survey, 95% of Armenians said they had some knowledge of Russian (24% advanced, 59% intermediate) compared to 40% who said they knew some English (4% advanced, 16% intermediate and 20% beginner). However, more adults (50%) think that English should be taught in public secondary schools than those who prefer Russian (44%). The 7th-century Khor Virapmonastery in the shadow of Mount Ararat, the peak on which Noah’s Ark is said to have landed during the biblical flood. The predominant religion in Armenia is Christianity. The roots of the Armenian Church go back to the 1st century. 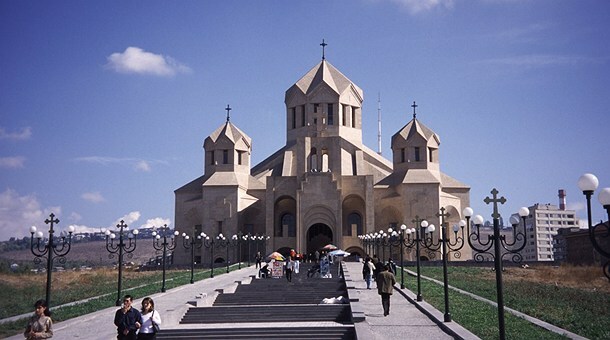 According to tradition, the Armenian Church was founded by two of Jesus’ twelve apostles – Thaddaeus and Bartholomew – who preached Christianity in Armenia between AD 40–60. Because of these two founding apostles, the official name of the Armenian Church is Armenian Apostolic Church. Catholics also exist in Armenia, both Latin rite and Armenian rite Catholics. The Mechitarists Mechitarists (also spelled “Mekhitarists” Armenian: Մխիթարեան), are a congregation of Benedictine monks of the Armenian Catholic Church founded in 1712 by Mekhitar of Sebaste. They are best known for their series of scholarly publications of ancient Armenian versions of otherwise lost ancient Greek texts. Djivan Gasparyan (left), Sirusho (middle) and Charles Aznavour (right) are among most popular musicians of Armenia. Armenian music is a mix of indigenous folk music, perhaps best-represented byDjivan Gasparyan’s well-known duduk music, as well as light pop, and extensiveChristian music. The Armenian Genocide caused widespread emigration that led to the settlement of Armenians in various countries in the world. Armenians kept to their traditions and certain diasporans rose to fame with their music. 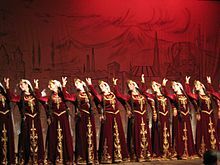 In the post-Genocide Armenian community of the United States, the so-called “kef” style Armenian dance music, using Armenian and Middle Eastern folk instruments (often electrified/amplified) and some western instruments, was popular. This style preserved the folk songs and dances of Western Armenia, and many artists also played the contemporary popular songs of Turkey and other Middle Eastern countries from which the Armenians emigrated. Richard Hagopian is perhaps the most famous artist of the traditional “kef” style and the Vosbikian Band was notable in the 1940s and 1950s for developing their own style of “kef music” heavily influenced by the popular American Big Band Jazz of the time. Later, stemming from the Middle Eastern Armenian diaspora and influenced by Continental European (especially French) pop music, the Armenian pop music genre grew to fame in the 1960s and 1970s with artists such as Adiss Harmandian and Harout Pamboukjianperforming to the Armenian diaspora and Armenia; also with artists such as Sirusho, performing pop music combined with Armenian folk music in today’s entertainment industry. Other Armenian diasporans that rose to fame in classical or international music circles are world-renowned French-Armenian singer and composer Charles Aznavour, pianist Sahan Arzruni, prominent opera sopranos such as Hasmik Papian and more recently Isabel Bayrakdarian and Anna Kasyan. Certain Armenians settled to sing non-Armenian tunes such as the heavy metal band System of a Down (which nonetheless often incorporates traditional Armenian instrumentals and styling into their songs) or pop star Cher. In the Armenian diaspora, Armenian revolutionary songs are popular with the youth. These songs encourage Armenian patriotism and are generally about Armenian history and national heroes. Queen Zabel’s Return to the Palace,Vardges Sureniants, (1909). 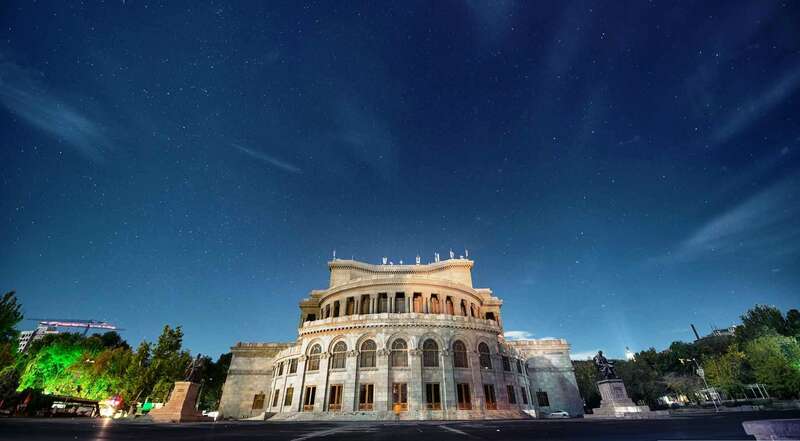 The National Art Gallery in Yerevan has more than 16,000 works that date back to the Middle Ages, which indicate Armenia’s rich tales and stories of the times. It houses paintings by many Europeanmasters as well. 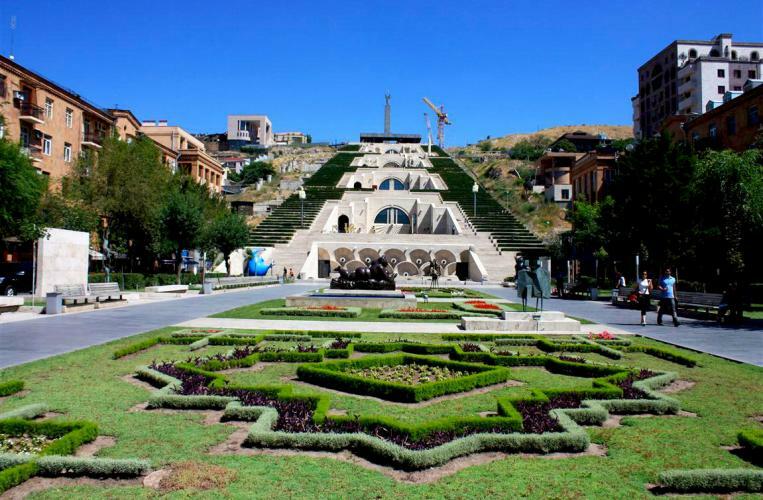 The Modern Art Museum, the Children’s Picture Gallery, and the Martiros SaryanMuseum are only a few of the other noteworthy collections of fine art on display in Yerevan. Moreover, many private galleries are in operation, with many more opening every year, featuring rotating exhibitions and sales. A wide array of sports are played in Armenia, the most popular among them being wrestling, weightlifting, judo, association football, chess, and boxing. Armenia’s mountainous terrain provides great opportunities for the practice of sports like skiing and climbing. Being a landlocked country, water sports can only be practiced on lakes, notably Lake Sevan. Competitively, Armenia has been successful in chess, weightlifting and wrestling at the international level. Armenia is also an active member of the international sports community, with full membership in the Union of European Football Associations (UEFA) and International Ice Hockey Federation (IIHF). It also hosts the Pan-Armenian Games. Armenia and the Armenian diaspora have produced many successful footballers, including Youri Djorkaeff, Alain Boghossian, Andranik Eskandarian, Andranik Teymourian, Edgar Manucharyan and Nikita Simonyan. Djokaeff and Boghossian won the 1998 FIFA World Cupwith France, Andranik Teymourian competed in the 2006 World Cup for Iran and Edgar Manucharyan played in the Dutch Eredivisie forAjax. Wrestling has been a successful sport in the Olympics for Armenia. At the 1996 Summer Olympics in Atlanta, Armen Nazaryan won the gold in the Men’s Greco-Roman Flyweight (52 kg) category and Armen Mkrtchyan won the silver in Men’s Freestyle Paperweight (48 kg) category, securing Armenia’s first two medals in its Olympic history. Armenia has also been very successful in chess, winning the World Champion in 2011 and the World Chess Olympiad on three occasions.